Della, thanks for your kind words. Re news service. I do not get CNBC, but I get a similar Canadian station BNN(I am in Canada). I use it to get both report results and breaking news. Both CNBC and BNN have Blooomberg news terminals, which deliver market-affecting news before any other news agency. one point targets and one point stops will not work consistently....IMHO....this is overtrading and I can't support that.....the forum went to the dogs today...very disappointing!! you had like 80 posts today dude! I've also heard that on the institution side, the opening is a very important point of reference, often the most important for them though I've never heard open to open alone as pivot points..
Al, an alternative could be either MSN or Skype "room", where posts are instant and there is a audio note of a new post. On this Forum 24 pages is a lot to follow. Agreed Bruce. It would be more productive and useful to most if trade calls and "numbers" were offered out with decently specific rationale for a trading decision or market expectation etc. Just a continual barrage of numbers from peeps and "I'm in here" ... "I'm out here" comments without any real context and shared analysis in posts tends to just create more noise than quality useful sharing within the Mypivots community. I thought IB was a MP trading term? Voting em down not always enough? Kudos to Al for not being insulted. Nice fortitude, if nothing else. 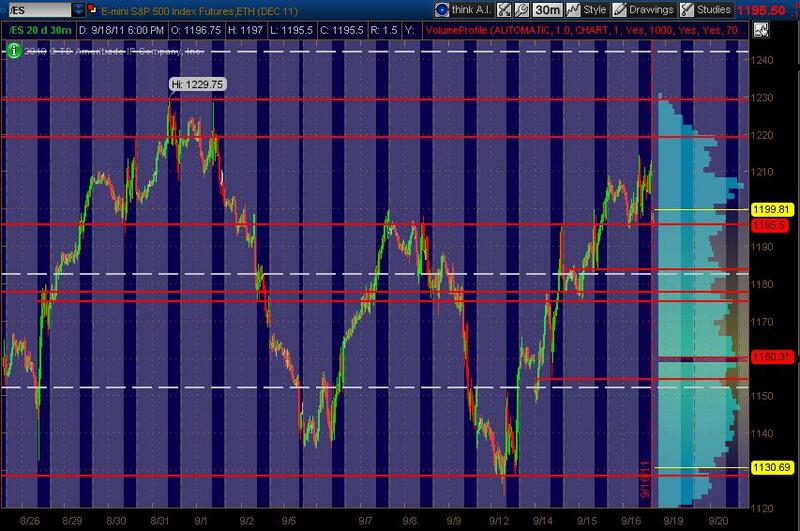 Was fast, but key levels noted by AL. Not too clear for me but I picked up his levels posted and comprehended after that post with clarity. Nothing wrong with a tight stop loss in my book. Fit the method imo only.I know others that are tighter. Seemed to be disciplined trading with a valid method. Targets a weak point on a few but considering the volume of posts I don't really care as the entry was there, if not a little late sometimes. Sometimes wrong/seemed honest. Point is,what is the point of the forum? I think it was skillful intraday trading of the ES. Maybe there can be 2 forums for ES- ES1 and ES2? I wasn't affected one way or the other and can understand if others were. I wasn't trading the method. Doesn't mean I can't appreciate it. Collective wisdom at work or are we content? Change is always hard, but like anything else one either addresses it with Love or Hate. That's what they mean when they say don't be a Hater. Hope to see Al here Tuesday!